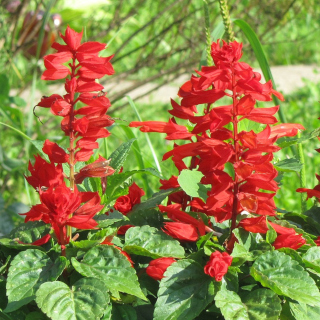 Salvia 'Blaze Of Fire' is a perennial flowering plant growing to 40cm tall. Produces long, upright spikes of crimson red flowers. Bee attracting. 50 seeds per packet.